Get to know Victoria Veytsman, D.D.S., a cosmetic and general dentist with a stellar education, extensive dental experience, and impressive awards. At Cosmetic Dental Studios, we help every patient discover and maintain their beautiful, healthy smile through our general and cosmetic services. Veneers are ultra thin layers of ceramic material bonded to the front sections of your teeth for your most beautiful smile in less than two weeks. A smile makeover combines cosmetic dentistry techniques designed to help you feel more confident about your teeth and your smile. A wide selection of procedures and treatments to get your best smile. The modern way to get a straighter smile without the pain and embarrassment of metal braces. Dr. Veytsman offers advanced teeth cleaning services to remove bacteria, plaque, and tartar, which helps to prevent gum disease and tooth decay. From subtle changes to extensive makeovers, Cosmetic Dental Studios offers dental procedures that help every patient achieve their ideal smile. Advanced whitening options to banish stains and yellowing while providing natural-looking results that can help patients look and feel their best. Implant dentistry services at Cosmetic Dental Studios include crowns, bridges, and more. Within Manhattan and throughout the New York City area, Cosmetic Dental Studios and Dr. Victoria Veytsman are known for changing the lives of patients with beautiful, healthy smiles. Dr. Veytsman continues to be featured in national and international publications has been highlighted on countless well-known media outlets for her outstanding results and professional patient care. A featured makeover dentist on the TLC network and profiled in Allure, Brides, Men’s Health, Social Life, and Daily Mail to name a few. She is also the Beauty Ambassador for Haute Living in the NYC, LA, and London markets. With countless dentists to choose from, there is a reason why Dr. Veytsman stands out from the others. We invite you to learn for yourself what makes our practice and Dr. Veytsman special and unique. Dr. Victoria Veytsman, owner of Cosmetic Dental Studios, is one of the premiere cosmetic dentists in New York City. She is the youngest ever graduate of NYU Dental. Her unique set of technical skills across multiple areas of dentistry, along with her compassion and commitment towards patient comfort, has earned her a superlative reputation amongst her patients and colleagues. With a background in art, Dr. V has a passion for smile transformations where art and science come to together to create healthy beautiful smiles every day. Dr. Veytsman’s process begins by sitting down with her patients and hearing exactly what their goals for their smile are. After an examination, she reviews and discusses the diagnosis and treatment options with the patient, ensuring they are fully equipped to make the best possible decision for their perfect smile. I recently got veneers, and could not be more pleased with how they turned out!!!! Dr. Veytsman and her team were sooooo nice and extremely accommodating to my very tight timeline. They always made sure I was well taken care of and completely happy. I am more confident with my smile and no one can ever notice that they are veneers as they look so natural. Dr. Veytsman is amazing at what she does!!!! Dr. Veytsman and her assistant Jessica are a phenomenal team. They were both patient and extraordinarily helpful as we worked to figure out a plan that was best for me. I cannot recommend this practice highly enough! Full Smile Makeover - Wonderful experience. Had old crowns replaced and new veneers put in on both top and bottom. Really feel 15 years younger. Very happy with the experience and decision. Doctor and staff top notch and always available. Stellar results, highly recommend. Dr. Veytsman is truly the BEST!! Talk about Quality and professional service... she's the one!! I love my New smile Dr. V Thank you!!!!! Giving back to the community is important to celebrity dentist, Dr. Victoria Veytsman, with her "Smile For A Cause" campaign. Cosmetic Dental Studios is proud to provide services to the Bowery Residents Committee, Urban Tech, and Smile Train. The "Smiles for a Smile" donates the full cost of a cleft palate repair surgery for a child in need for every patient Dr. Veytsman treats at Cosmetic Dental Studios. Browse through more than 400 5-star reviews from real patients. 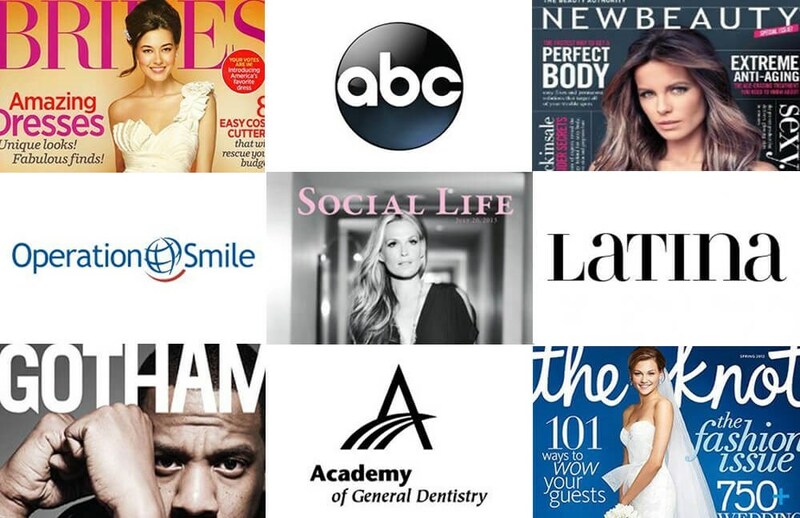 Dr. V has been featured in a variety of publications over the years. Dr. V transforms patients with her full smile makeover procedure. Learn more about the charities that Cosmetic Dental Studios support.